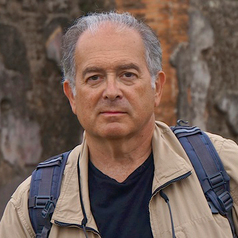 David Brodsky is internationally known award-winning graphic designer and photographer. Born in Kiev, Ukraine, David graduated from the Kiev Institute of Decorative and Applied Art and Design in 1974. He started his professional journey in the field of Graphic Design, working as a Graphic Designer and Creative Director in the Soviet Union, Italy and the United States. David’s passion for photography developed into a full obsession about a decade ago. The heart of his photographic work is a search for the soul of things. The images in David's photos are sometimes contemplative and sometimes funny, while at other times carrying an uncanny mood and striking poeticism. Ansel Adams said once: “You don't make a photograph just with a camera. You bring to the act of photography all the pictures you have seen, the books you have read, the music you have heard, the people you have loved.” This is what drives David’s work – a lifetime of experiences that allows him to capture telling moments that shed light on truth, emotion and humanity. "I use photography as an artistic medium for self-expression and for interpreting the ambient world around me. By candidly capturing ordinary moments, I try to unveil stories – not at first obvious, but filled with enough emotions or mystery to elevate them above the ordinary. Photography for me is a journey to the rabbit-hole of my wonderland."